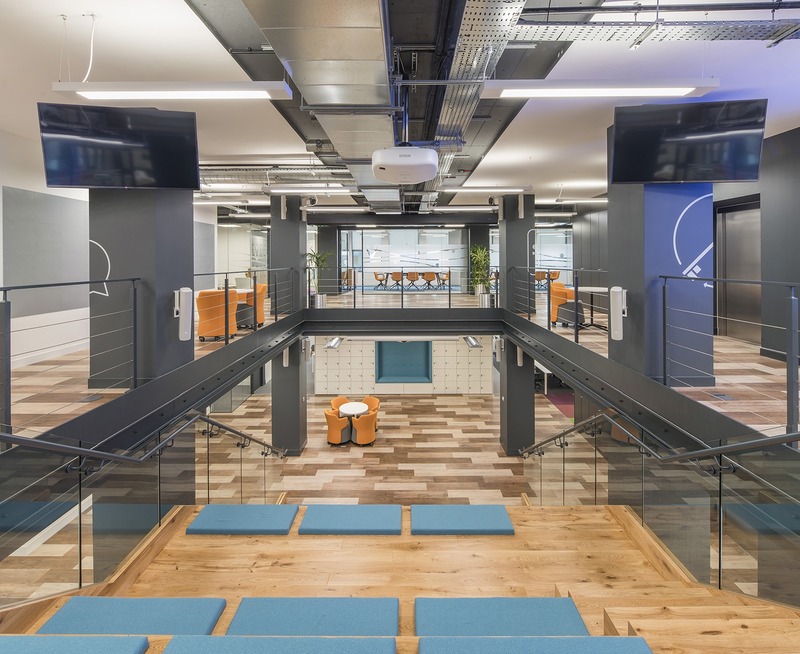 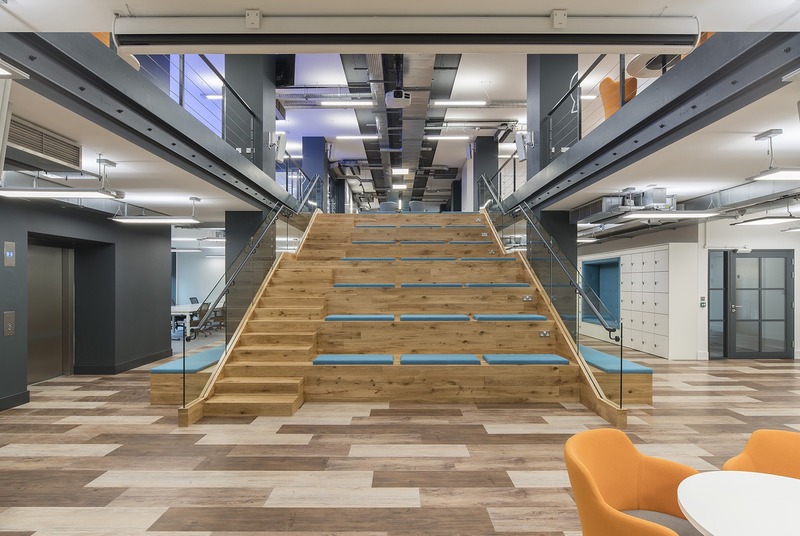 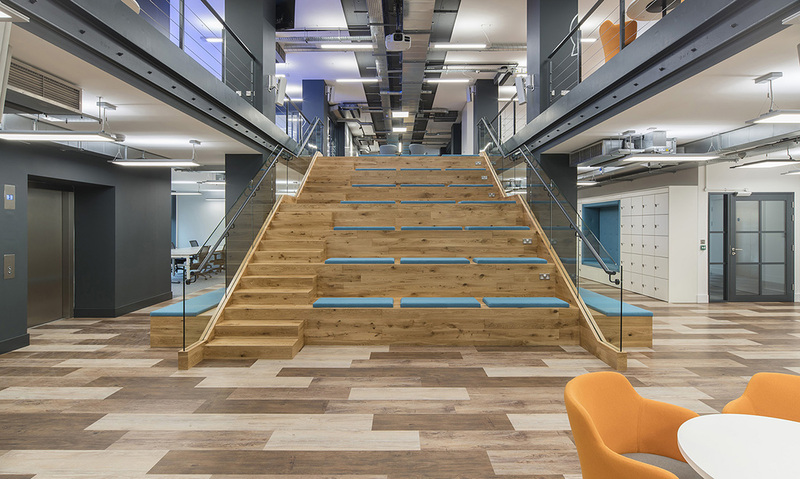 Vonage, an internet company that offers business grade cloud unified communications, recently merged with API platform Nexmo in a 22,000 square foot office spread over two floors in The Bonhill Building in London, England. 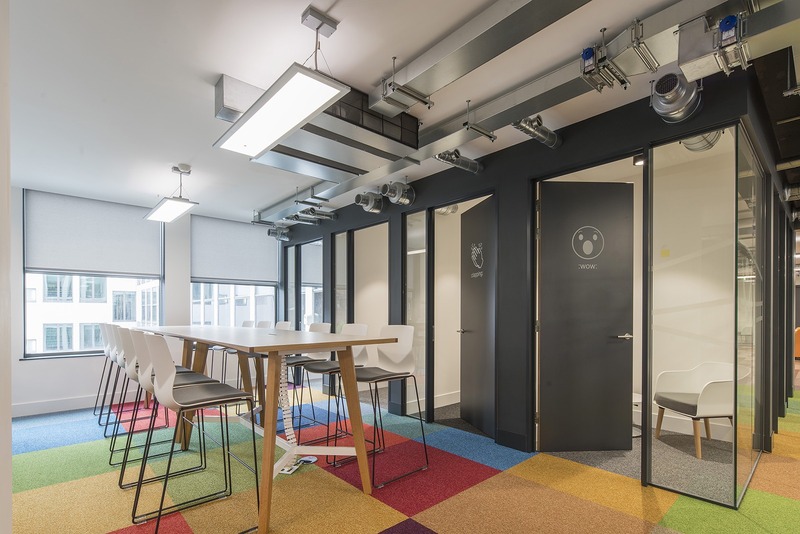 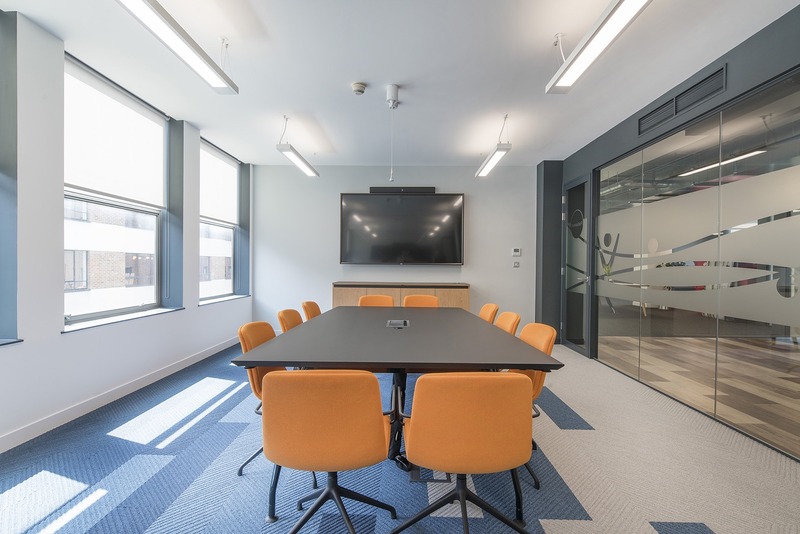 “Bringing two companies together into one space required a bespoke solution to ensure the office provided staff with a balanced, supportive working environment that would retain the strong sense of community in the business. 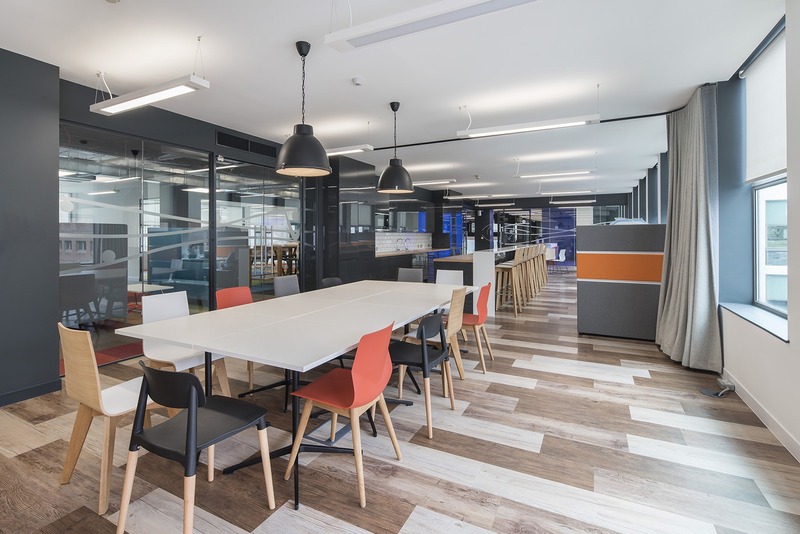 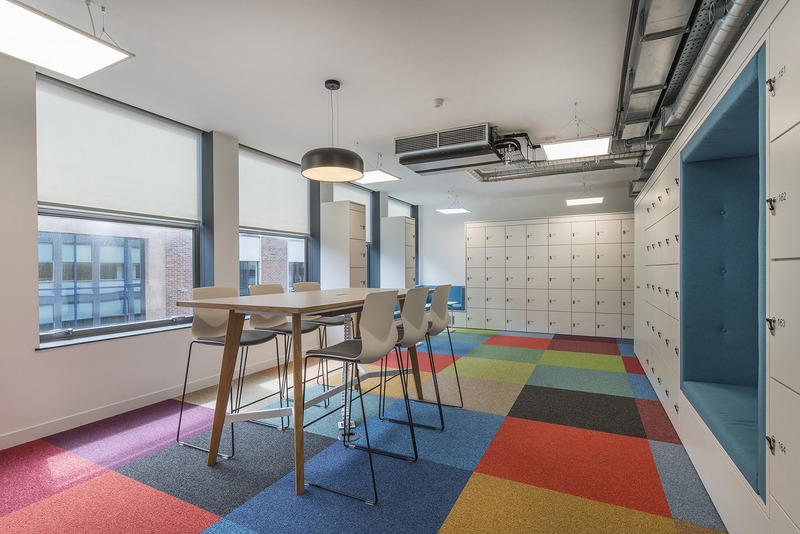 The new London office on Bonhill Street is a multi-functional working environment that promotes a high energy culture and a diverse range of work spaces without physical barriers in the workplace. 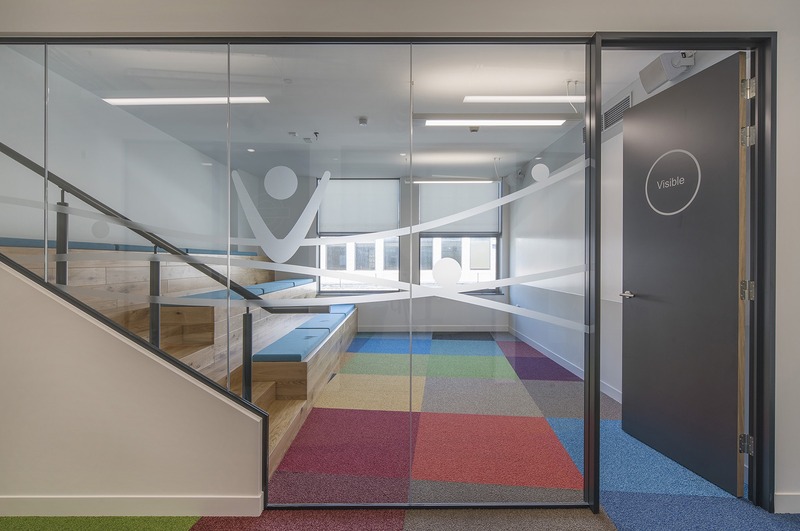 Building a framework that enabled scrum working was a vital part of the brief. 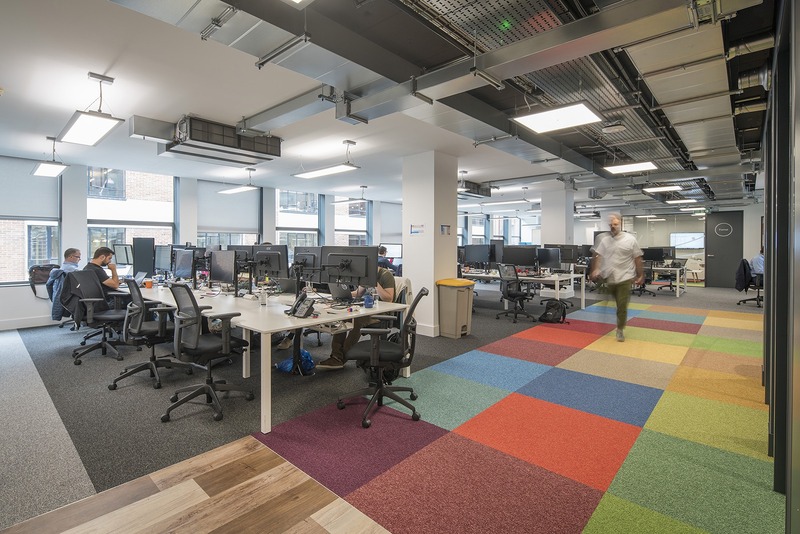 The development and engineering teams form the hub of the business and the scrum working principle is an essential part of the way they work. 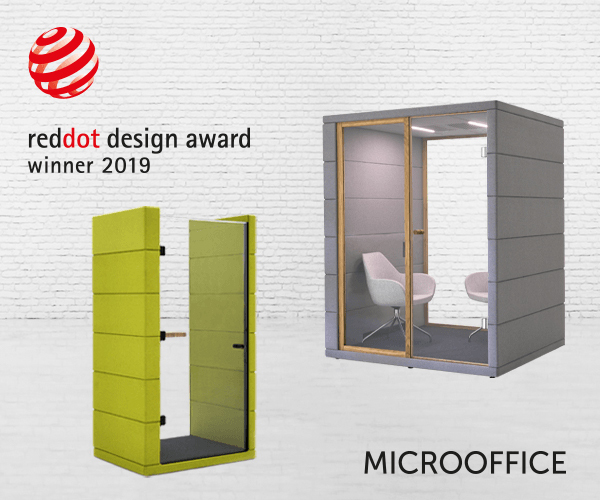 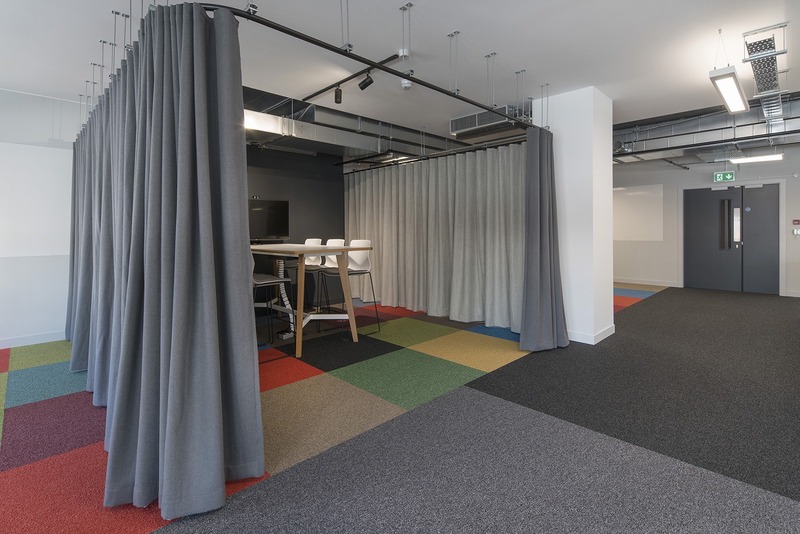 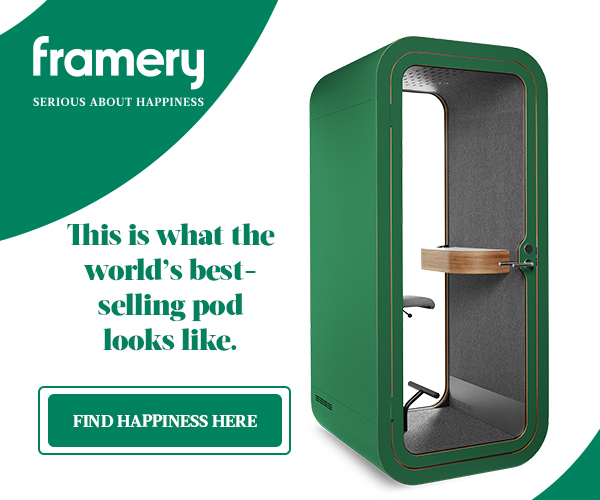 Our solution was targeted at delivering on the brief to achieve functionality and versatility in the office without compromising the community atmosphere within the office. 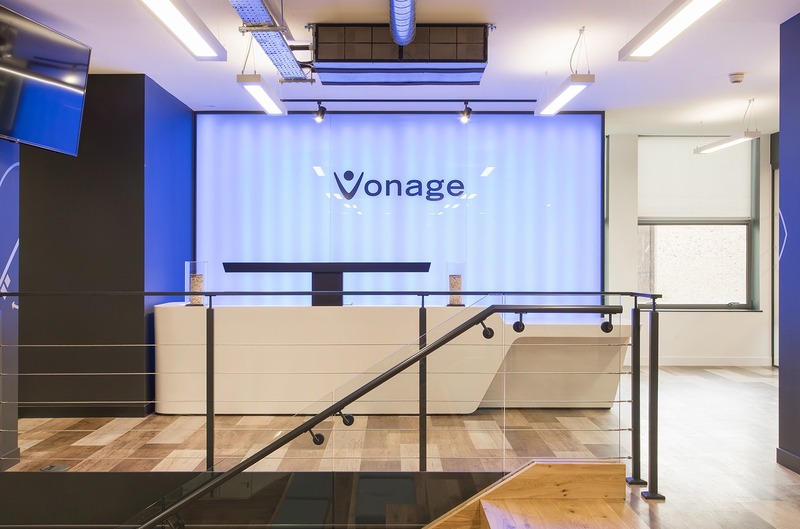 As you enter the office, the front of house area invites you into the space with a welcoming atmosphere which is distinct to the culture at Vonage. 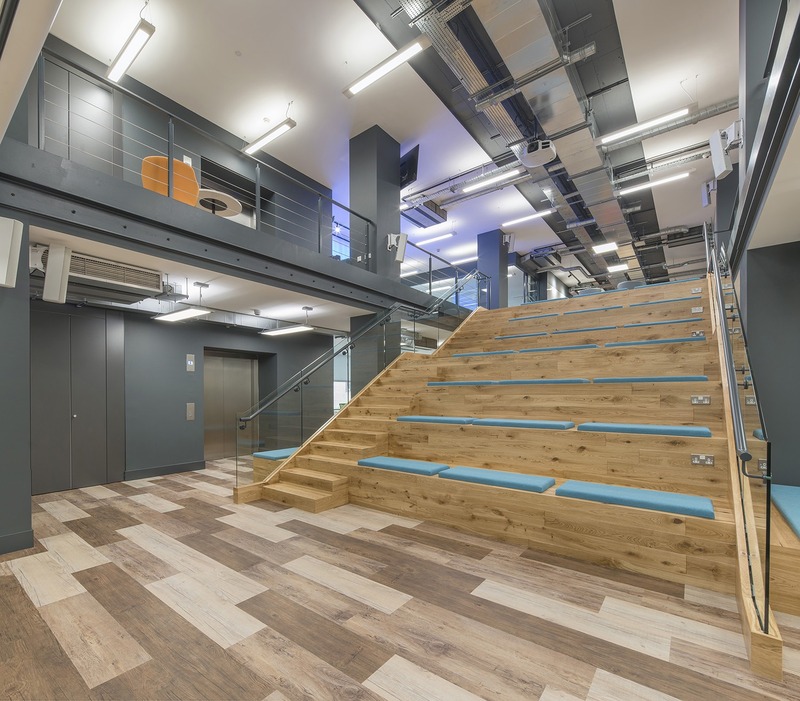 You are guided into the space and you are encouraged to move through the office before arriving at reception. 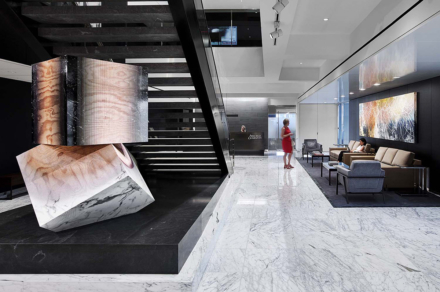 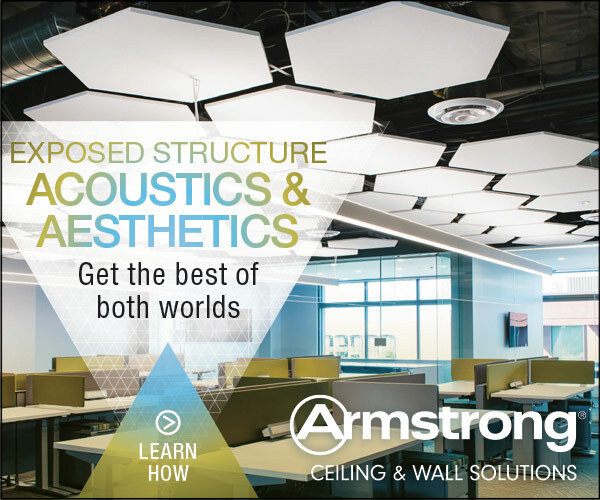 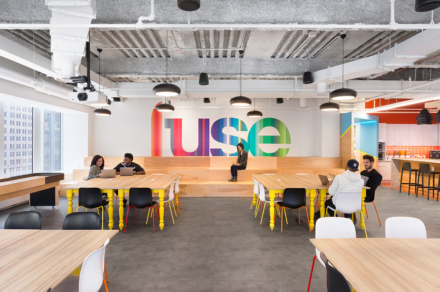 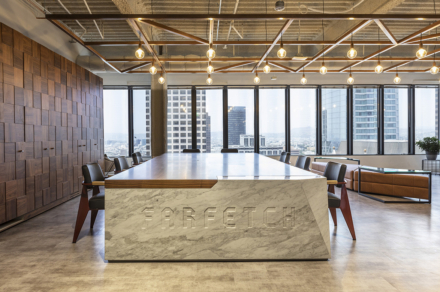 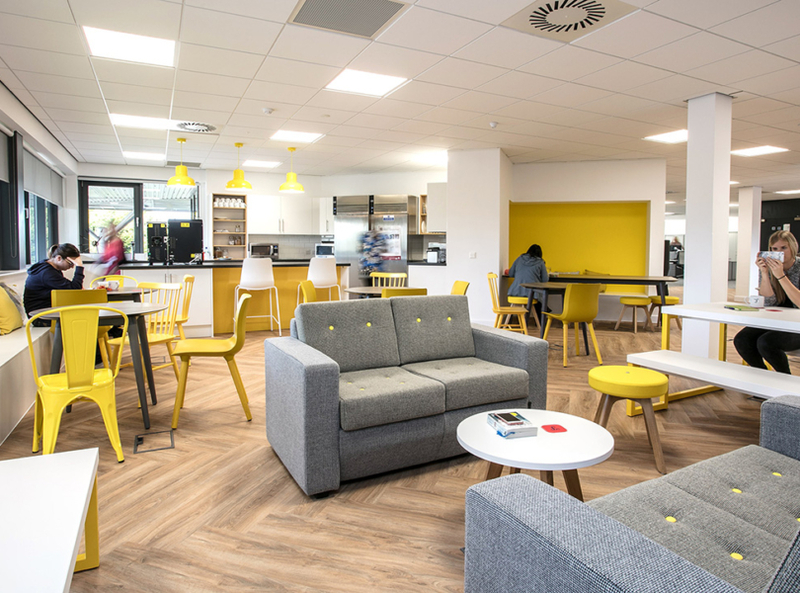 We wanted to incorporate this feeling of fluidity and entice staff to explore the office, making the most of the highly functional office space. 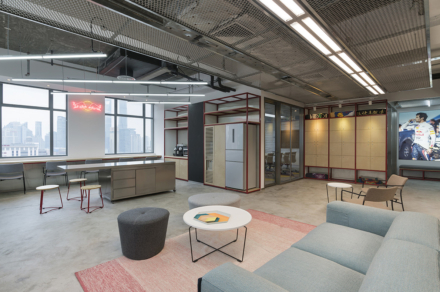 This office design is a diverse collection of spaces and staff can easily be agile in the space, giving them the freedom to work however they like. 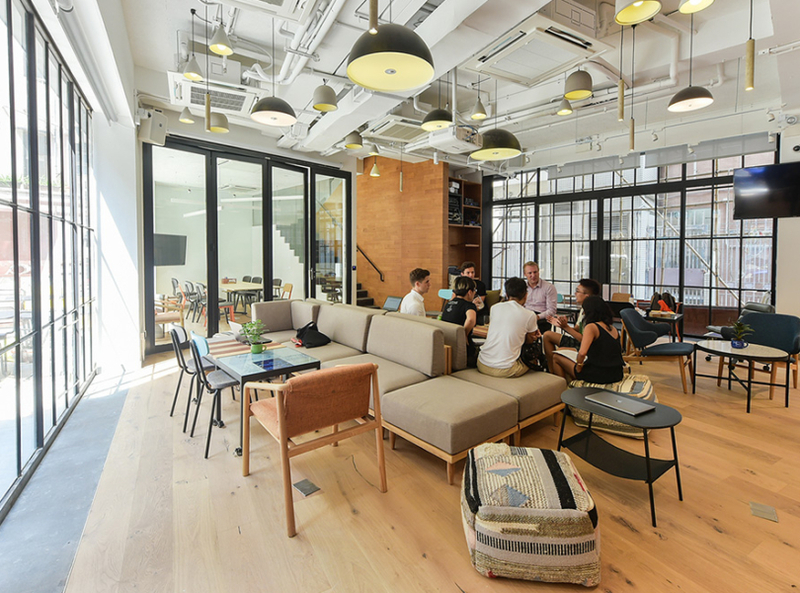 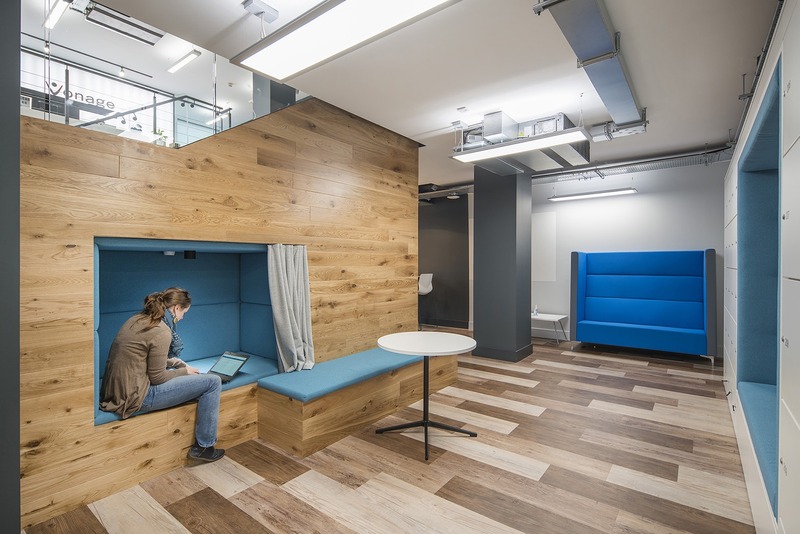 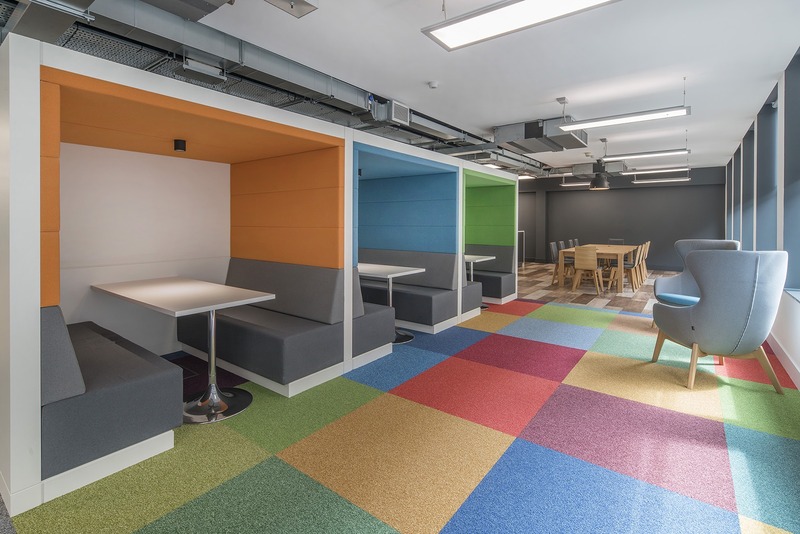 On the 3rd floor, there is a collaboration space that runs along the length of the floor which provides staff with high-backed sofas, high benches and other comfortable seating. 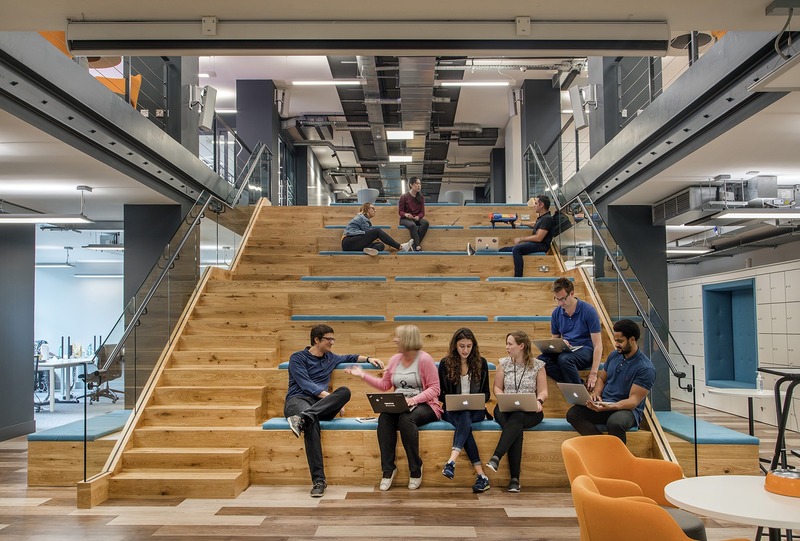 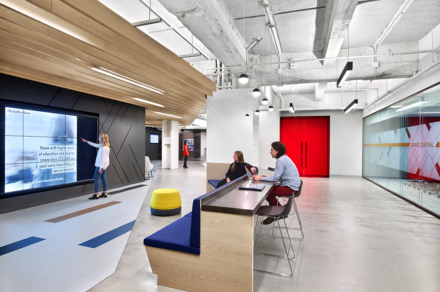 We have created an office environment which encourages the community at Vonage and the design challenges the concept of ownership. 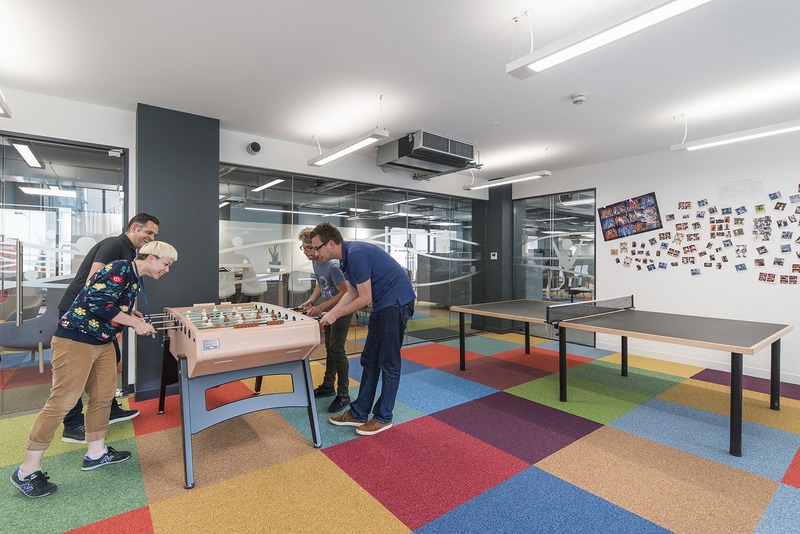 Naturally, the layout of the office dictates the areas which each team will use most frequently but there are no barriers to how people should use the office”.